Big routes with big air should embolden you to climb with an “it’s okay to fall” mentality (assuming good gear and a trustworthy belayer). I occasionally hear from an experienced climber, with hundreds of ascents under his belt, complaining that he still wrestles with a severe fear of falling even after many years of climbing. 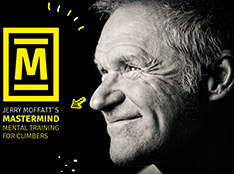 I respond by explaining that you don’t learn to expertly manage the fear of falling simply through experience at climbing—you become empowered to challenge the fear of falling through experience at falling! Consequently, engaging in occasional practice falling is an essential part of becoming an effective fear-manager. Practice falling will benefit you in a couple of important ways. First, it teaches you to trust the belay system and thus dismantles ridiculous fears such as that of the rope breaking or a bolt failing. 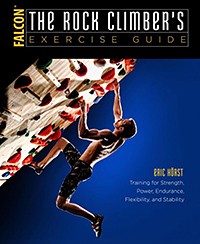 More important, it teaches you how to fall—learning to relax your body, stay upright, and avoid catching your foot on the rope or rock while falling are all critical skills that will become largely unconscious through practice. Finally, taking practice falls will gradually override the innate fear of falling in safe situations (when the gear is solid and the fall will be clean). In time, these skills will wire into your brain, thus empowering you to make the right choices in climbing upward despite the fear of a fall and enabling you to react instantly in managing a fall when it happens. All the climbing in the world won’t get you past the fear of falling–only in falling will you come to manage this fear. Taking practice falls is best done in the controlled setting of a climbing gym, although you can also do it at a sport crag. 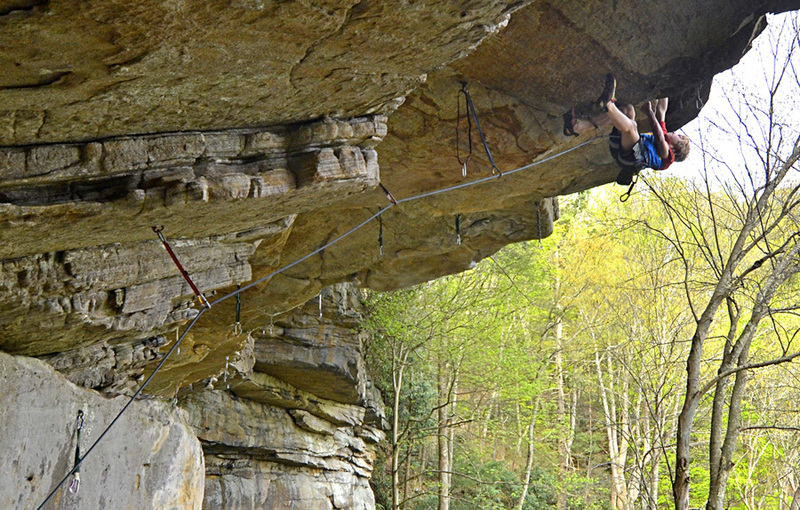 Practice on a somewhat overhanging sport route that’s void of protruding holds; use a good rope, double-check your knot and buckle, and employ an experienced belayer. Start off by taking a few short falls with a bolt location near your knees—with rope stretch this will result in about a five- or six-foot fall. When you become comfortable taking these short falls, climb a bit higher so the bolt is somewhere near your feet. 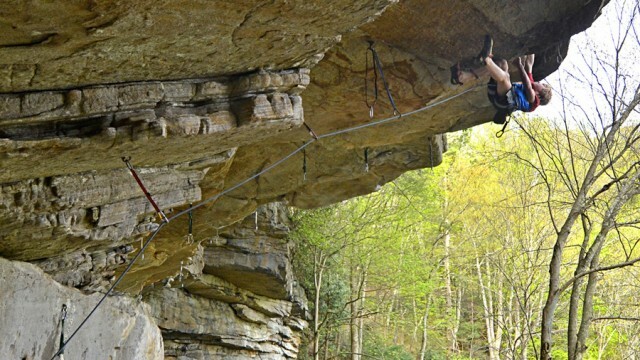 Depending on the amount of rope between you and the belayer, this will result in a medium-length sport-climbing fall of about ten feet, give or take. Practice taking these short- and medium-length falls at least once per week for a few months and you will gradually come to accept these falls as the “no-big-deal” that they are (when gear is good). Some climbers progress to taking practice falls with the bolt a few feet below their feet—these longer sport-climbing falls can total fifteen to twenty feet depending on the amount of rope stretch and belayer “give.” These longer falls should always be practiced on routes that overhang at least 30 degrees past vertical, so that they are “air falls” with little chance of hitting the rock hard or catching a foot on the rope. The long-term effect of taking practice falls is that you will be able to detach from the fear of falling in safe situations and climb free with little or no fear load. Still, you will occasionally come upon situations where a fall looks to be completely safe, yet for some reason it’s making you feel a little scared (perhaps the fall will yield a bit of swing or it just looks weird). In such a case, you would benefit greatly by taking a single “test fall” in order to experience what it will be like—this will erase the fear you are feeling, because it’s not knowing what the fall will be like that you fear, not that act of falling itself. In the end, addressing the fear of falling (in “safe-fall” situations) is a long-term endeavor that will take you months or years, not days or weeks, to come to manage. 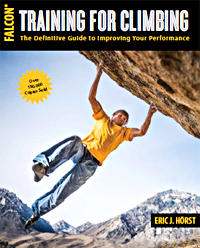 It’s a step-by-step process that requires both the willingness to take practice falls, as well as the courage to push yourself to the limit and take real falls when climbing for performance.